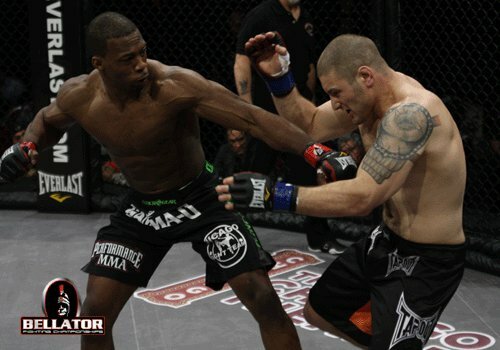 Chicago Fight Team standout Louis Taylor put in one of the most exciting Bellator performances you didn’t see unless you were there in person at The Chicago Theatre. Taylor won his fight in spectacular fashion: a head kick to defeat Ryan Sturdy. The middleweight fighter is known for his powerful wrestling, but Louis’ coach Roberto Ramirez says his fighter was “on that night.” In fact, Taylor predicted he would win this way during his pre-fight interview by telling the commentators he would end the fight early with a nice head kick. Although Louis’ win over Sturdy did not make the national broadcast on Fox Sports/Comcast Sportsnet, Bellator may put the highlight on its Youtube account in the future.